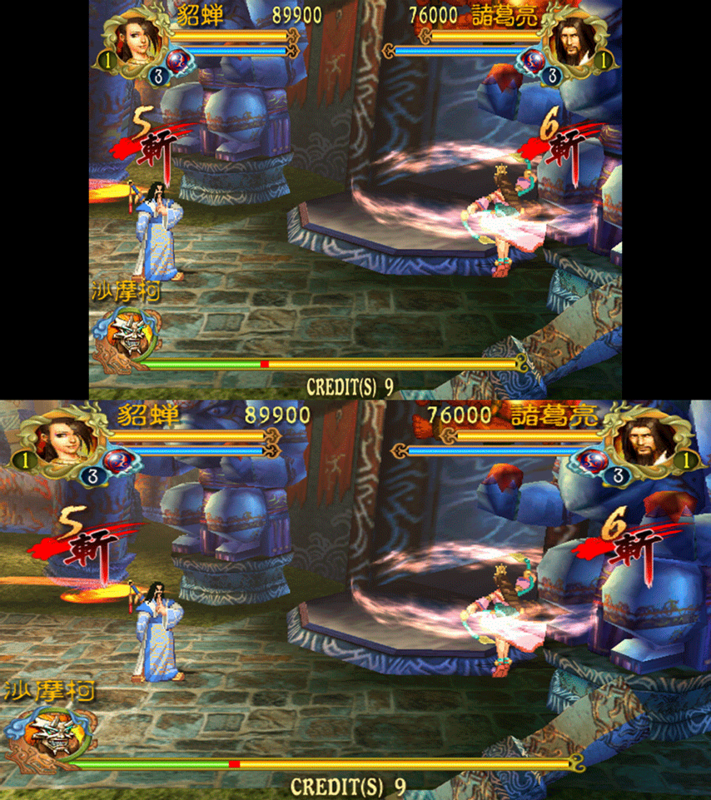 So After doing lots of Widescreen hacks for The Dreamcast and Sega Saturn I was wondering if anyone is interested in Widescreen hacks for Naomi, Naomi 2, Atomiswave etc. I've already have some ready to post, but I'd like to know if people is actully interested. Since A picture is worth a thousand words, I am talking about this. PS. My first post in the Demul forum. mainly because it can be used on real hardware - during game run work RAM can be poked using NetDIMM commands from host PC. 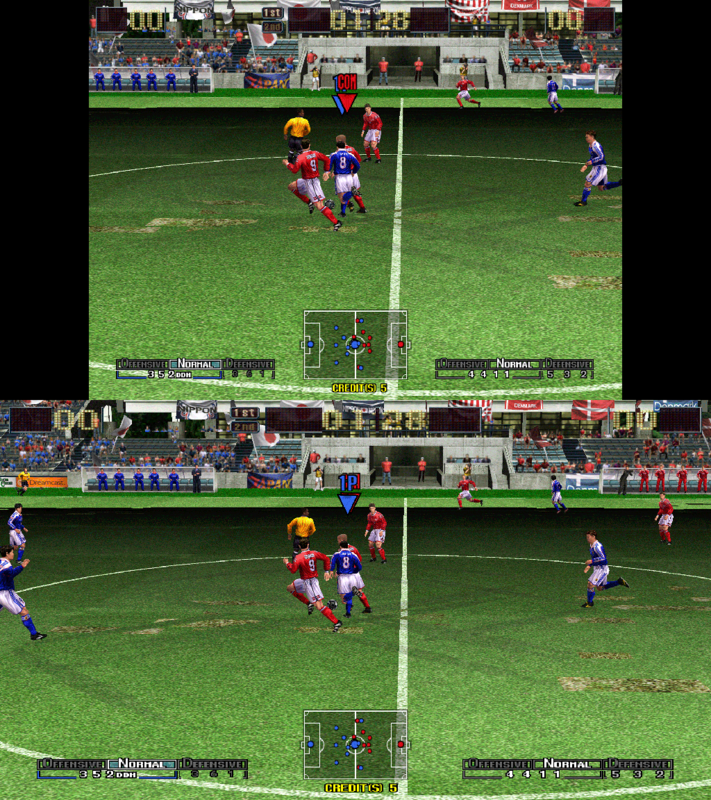 so this and other ActionReplay-like things possible. Omg, yes!! This would be absolutely awesome! Is there any known method of permanently patching the binarys yet? 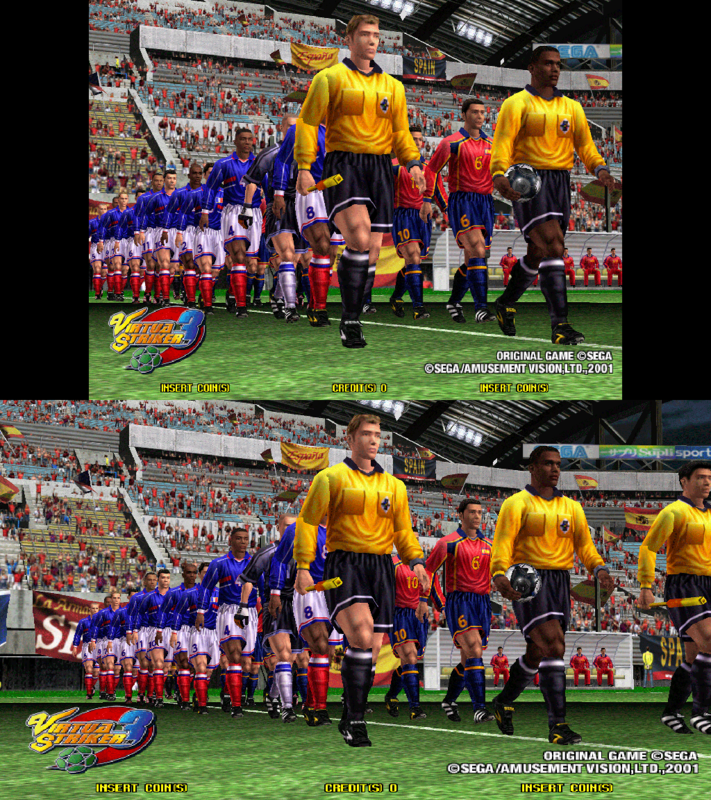 Edit: if you take requests I'd love to Virtua Striker 3 zoomed out plus widescreen. Thanks a lot Sakuragi that looks beautiful! Sorry for repeating my question: is there any way to permanently mod the binaries, or make cheat engine run a script during start-up? I was thinking it'd be nice to make something less finicky. Yeah, I'm going to sticky this! Last edited by Sakuragi; December 7th, 2016 at 19:09.